Apparently 3500 trees blew over and the roofs blew off a few places. Tragically, 11 people perished too. 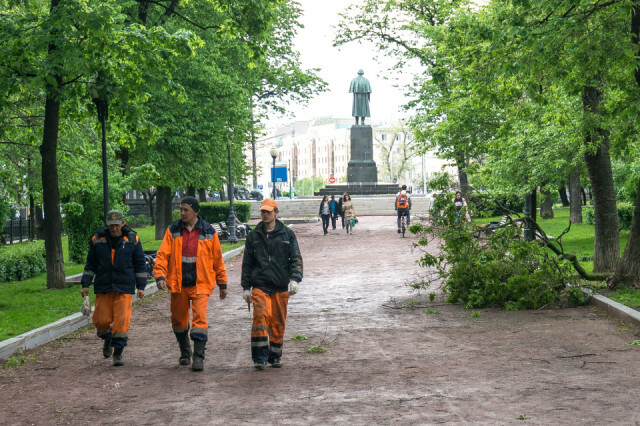 These men in orange were kept busy cleaning up the boulevard ring.